Details: Check out Crowne Plaza's Mid-Year GREAT SALE! 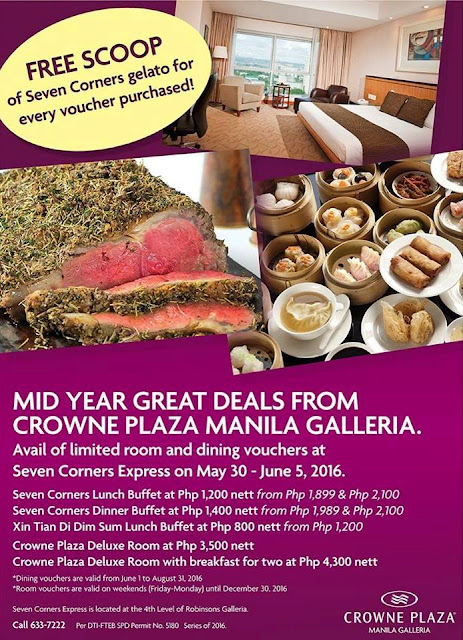 Avail of limited room and dining vouchers on sale at Seven Corners Express until June 5, 2016! Seven Corners Express is located at the 4th level of Robinson Galleria.